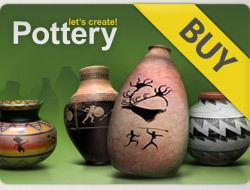 Beautiful Gallery 5* x 6 amazing Pots without comments!!!!!!!!!!!!!!!!!!!! Haven't seen you in such a long time - just wanted to say hello !! Hello Lupe,,,you have such a beautiful gallery ! I have given 5 stars to all your fabulous pots on first page and left some comments on my favorite pots,,,,,,you are most welcome to visit my gallery !